Pediatric Blood & Cancer (PBC), published monthly by Wiley-Blackwell, is the official journal of the International Society of Pediatric Oncology (SIOP) and ASPHO. Peter E. Newburger, MD, of the University of Massachusetts Medical School, Worcester, MA, serves as editor. Editorial board members represent the international constituencies of both SIOP and ASPHO. In the wake of his recent passing, we remember and honor the brilliant life of Robert J. Arceci, MD PhD, and his dedication to ASPHO as the former editor-in-chief. His achievements and extraordinary work in the pediatric hematology/oncology field were limitless. Dr. Arceci leaves behind a truly inspirational legacy, and one that will always be remembered. Read a tribute and memoriam to Dr. Arceci. PBC publishes manuscripts describing basic and clinical investigations of blood disorders and malignant diseases of childhood, including diagnosis, treatment, epidemiology, etiology, biology, and molecular and clinical genetics of these diseases as they affect children, adolescents, and young adults. In January 2014, Pediatric Blood & Cancer became online-only. The online-only publication reflects a larger trend, with scholarly journals everywhere moving rapidly toward electronic-only distribution. A joint ASPHO and SIOP Publications Committee meets regularly to provide support, oversight, and guidance to the journal. Members of the committee include the presidents and officers of each society. This committee is chaired by Peter Newburger, MD. Other societies affiliated with and contributing to the journal include The Histiocyte Society, the European Society for Paediatric Hematology and Immunology, and the International Society of Paediatric Surgical Oncology. 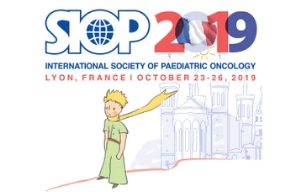 SIOP’s official journal, Pediatric Blood & Cancer (PBC), is pleased to announce the launch of the Electronic Table of Contents (eTOC). PBC eTOC will provide readers with a regular update about PBC content, directly from the Wiley Online Library. SIOP members will be subscribed to eTOC beginning in January 2015 but can always choose to unsubscribe. SIOP members receive the iPad® edition of Pediatric Blood & Cancer free of charge. The app is available for both the iPhone and iPad. The app allows you to stay up to date with developments in your profession faster than ever before. Members should use the same Wiley Online Library account information that they already use to access the journal. Learn more on how to access the Pediatric Blood & Cancer iPad® App. Make sure you never miss an issue! Free e-mail content alerts notify you of articles or issues as they are published, saving you valuable research time. Customizable alerts are delivered straight to your inbox in the frequency and format you prefer. Sign up today and be the first to know when essential research is published. 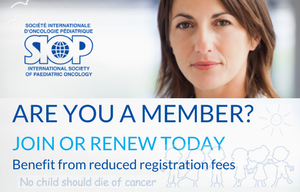 SIOP members have a subscription to PBC included in their membership fee. This subscription allows SIOP members access to the online edition of PBC. The PBC website is located within Wiley InterScience, the electronic publishing initiative of John Wiley & Sons, Inc.
How to access the journal? Please login to Wiley Online Library http://onlinelibrary.wiley.com with your email address and password. If you have forgotten your password, this can be accessed using the forgotten password link http://onlinelibrary.wiley.com/user/forgottenpassword. When you are successfully logged in your name will appear at the top of the page. To search for your membership subscription journal, key in the title of the journal using the search box and search by publication title. An open lock symbol will denote available subscribed content. The subscribed content details for membership are not noted in the ‘My Profile’ ‘Subscription Access’ or ‘Society Membership’ sections. For easy access to your subscribed journal content, you can save the journals to your profile. From the journal homepage, go to the “Journal Tools” menu and click on “Save to My Profile”. When you click on “My Profile”, the journal title will appear in your list of “Saved Publications”. Each January, Wiley mails information packages to each new SIOP member, containing instructions on how and where to register for PBC in Wiley InterScience. Having trouble accessing the online PBC? Not a SIOP Member yet?